At a time when Central and Eastern Europe still rings with the clashes of widespread political tension, Rafal Milach’s The Winners emerges out of unique, uneasy stillness. The INSTITUTE-managed photographer’s book (out now via GOST) is the climax of two years of work in Belarus, exploring the dire economic and political situation of the small country. 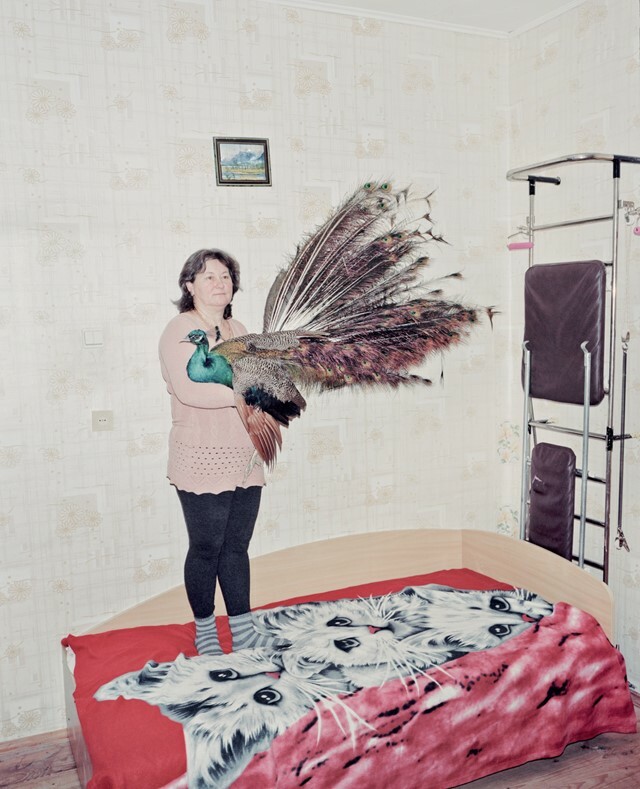 And yet, rather than document those on-going demonstrations that would chime with the dissent of other ex-Soviet regions, Milach turns his lens onto the government-approved “Best of Belarus”: winners of various state and local competitions supported by the Belarusian authorities. The photo collection that results is both hilarious and saddening, existing somewhere between the intersection of public space and private fears that marks the nation's consciousness. Schools, nightclubs and village discos provide Milach’s tragicomic setting, making The Winners a strange and striking compendium of patriotic portraiture. We spoke to the photographer and founder of collective Sputnik Photos about punk propaganda, collective responsibility and post-Soviet success. You were born in Poland and lecture in the Czech Republic. How and why did your attentions turn to Belarus? Rafal Milach: In late 2010, Belarus was waiting for an upcoming presidential election. It was a time of uncertainty as the country was facing serious economical crisis. The nation's support for president Lukashenko, who has been ruling the country since 1994, was lower than ever before, and this gave the people hope for change. Together with Sputnik Photos, the collective that I am a part of, I decided to go to Belarus that very moment. We had been focusing on our native regions for the past 8 years and Belarus was the one country we had not worked in much. It turned out that we knew very little about it apart from a few stereotypes – which we mainly understood from political news as linked to elections, demonstrations or imprisonment of opposition leaders. The portraits in The Winners have the feeling of documentary. Do you see the photographer’s role in documenting as innately political or neutral? Rafal Milach: A photograph can probably never be completely neutral but in this project I’ve decided to examine that notion. I tried to stay as neutral as possible and to play with the context and knowledge that I had about the country: I became a propaganda photographer guided by authorities. I wanted to create a project with a message that could be read differently depending on the position of the viewer. The message of any project always really depends on the context we put it in – and this applies to news and documentary photography as well. What I didn't want to do was say: "Look, this is dictatorship propaganda. How can people live like that!?". Regardless of what part of the world we come from, we are all part of different sorts of propaganda schemes and my intention was to show such a mechanism. Belarus’ recent history has been marked by a series of crises both political and economic. Do your portraits bear witness to that? Rafal Milach: Authorities very often react with panic in crisis times. This is somehow different in Belarus, where despite difficult situations authorities try to convince the people that everything is under control and there is nothing to worry about. It's very important for the Belarusian authorities to keep this façade alive. I think that my collection of winners captures the fear that is provoked by a crisis and instability rather than the crisis itself. Many photographers working in the Central and Eastern Europe region in 2014 are capturing political protest and clashes, most recently in Ukraine. Tell us more about your choice to document propaganda, as opposed to protest. Rafal Milach: Documenting protests and clashes is important but I was never interested in doing that. I think there are many photographers doing a much better job than I could ever do. I've always been much more driven by slow processes and aftermaths rather than by revolutions – I enjoy analyzing the mechanisms that are hidden behind spectacular events. In a country known for being the last remaining dictatorship of Europe, you have chosen to document those who have ‘won’ through compliance with the regime’s institutions. Why did you choose such a subject? Rafal Milach: I've decided to play the game the authorities play and therefore mirror their projections: I created a grotesque typology of success. We can use different methods to communicate the message we want a project to have. I believe I’ve chosen the right one for mine: a deconstruction of the propaganda mechanism. You have said of ‘The Winners” that it depicts the clarity of the regime’s message: “Everything is under control and Belarus has a bright future ahead.” How is this reflected in the colour schemes and stark composition of the photos? Rafal Milach: The use of lighting was significant to me. I wanted to refer to scientific documentation methods, where the image is sharp and realistic, with no artistic effects, shadows, blurs etc. I photographed each subject with the accuracy of a pack-shot and I always tried to find the most suitable background to allow the best possible reproduction of the photographed subject. Creating the winners typology in such a way (where everything was photographed in the very same way) allowed me to distance myself from the people depicted and focus on the façade, which was important to me. Your portraits often portray their subjects through an intimate lens, and yet the ‘winners’ portrayed are deemed so for their roles in the beautification of public space. Is this tension between public and private space one you are interested in? Rafal Milach: Yes, it was important in this project. In each case, I was instructed about where the pictures should be taken and most of them were official or representative spaces. The more guidance I received, the better the picture would become in terms of the message I was able to create. It's something totally different from what I have done in previous projects, where I tried to get as close as possible to the people I photographed. Given the current political climate in these regions, do you feel that your nationality gives you a responsibility to document Eastern Europe? Rafal Milach: I believe so. You can buy The Winners now on GOST.